Amidst all of the new Samsung products being announced at IFA this morning comes a bit of a quirkier device from Native Union. 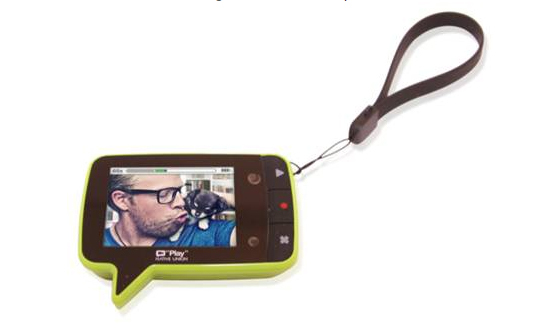 The Play is an interesting mix of a high quality video camera, audio recorder and a 2.4 inch colour LCD screen. The brand suggests it would be brilliant for to-do lists and memos, but I can see it taking on a life of its own and being used by bloggers for sound bites and ideas for posts or even as a way to store cute messages for loved ones (OK, so maybe that last suggestion is a bit too sickly sweet). The gadget is made all the more appealing as its packaged up in a bright shell and available in ALL kinds of colours, although I have my eye on the purple one. The Play seems like a brilliant idea and as it’s retailing at £49.99 it’s definitely affordable, although I can’t guarantee that I wouldn’t end up turning back to my trusty pen and paper a few months down the line. The Play is expected to be available from the end of September from the Native Union website and Amazon.